DreamCatchers Extensions by Paris Hilton. we leave the cuticles intact giving them an incredible silky manageable quality and feel that will truly amaze you. 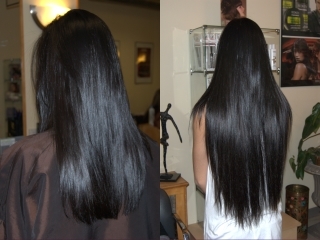 DreamCatchers will enable you to transform the appearance of fine, lifeless or short hair into thick, long, beautiful looking hair. European micro-cylinder technology: clean, easy and non-damaging. Cost effective – DreamCatchers are meant to be a hairstyle for life, not a one-time look.